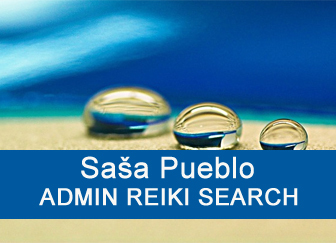 Sasa Pueblo is particularly actively involved in Reiki already second year. Previously he devoted esoteric basics and overall spiritual sciences about 20 years. He constantly develops his oracular and healing abilities. Sasa Pueblo can be considered as polyhistorical personality educated in all natural sciences, social sciences and technical sciences. 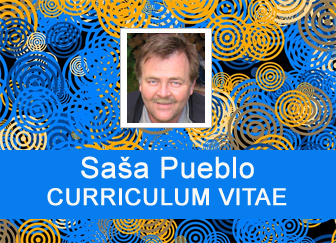 Sasa Pueblo for many years reconstructs his brain and builds many extraordinary and unconventional abilities in it. We decided to examine issues of Reiki system by oracular techniques and also by scientific methods. What it is, how it works and what could be done with it? And so we started from the beginning and we created list of Reiki masters from around the world. We are impressed by Reiki masters in Czech Republic, America, England, Germany, Hungary, Japan, Tibet and Canada. We connect constantly with them by oracular techniques and get to know their Reiki systems. Then we focused to Japan and started to study Reiki where it originated and where was developed for people around the world. We examined materials and tombs Mikao Usui, Hayashi Chujiro, but also Hawayo Takato. We have added a Japanese monk without name to this research. This monk fanatically collected meteorites over a lifetime, he always touched meteorites and worked with them. And this Japanese monk who were living before 1st World War as the first grown substantially and gave Reiki dedication to Mikao Usui, but also other Japanese esotericists. We have found his burial place and through the consecration we have copied the cold object that is still above his tomb site. Surprising discovery in Japan were burrial sites of samurais who had their swords made from meteorites and they throughout whole life dynamically associated own psyche with the sword. And during their life were created Reiki objects which remained over their burrial place. Such Reiki objects can not be perceived by eyes only sensible person is able to perceive them well. Once we examined Japan Reiki masters, we decided to examine other individuals who came during their life in permanent contact with meteorites or objects made from meteorites. And so we have begun in China and here we found a posthumous record of an individual who did feng shui with meteoritic compass Luopan. We went to Europe to the tomb of Franz Anton Mesmer. He has been known for his work with magnetism and also with meteorites. We have continued into Tibet where is still alive tradition to run religious ceremonies with devices that are made of meteoric iron. We continued to India and there we found the burial place of Tibetan who played all his life on the meteor bowls and meditated. And he consecrated one American man who created the musical instrument similar to cimbalo with metal plates of meteoric iron. We also copied over his burrial place his Reiki object. We continued to Philippines where we found the grave of the first Philippine healer and it was probably a European priest who touched meteorites and so he healed other people. He founded tradition of Philippine healing. Likewise, we copied his cold object that is not above his grave, but one of Philippine healers has it in the aura. We continued to ancient Egypt, where for the mummification was used objects made of meteoric iron. We have found graves of those burried Egyptians and we copied cold object into our aura. Then we came back to Japan so we can take the next object Mikao Usui and Hayashi Chujiro. Those two Reiki leaders also took care in research pitchblende and uranium which are radioactive materials. Throughout life they exhibited radioactivity and the body tried to remove the radioactivity so that it embedded it into bones. This has created in these persons full body Reiki object. Such object is located also over burrial places of Chernobyl victims. So we have already two cold Reiki objects which are the most commonly over burrial places of the person. Then there is the third cold Reiki object and those are victims of dropping the atomic bomb on Hiroshima and Nagasaki. Right at the epicenter of the explosion remained after a living person on earth only black spot and over it we can perceive unique object useful for penetration into the cosmos. Finally, we draw our attention to astronauts who were in the space for more than three months. Astronauts irradiated by cosmic rays created in the body many objects around their organs. After the death over their tomb site is a series of Reiki objects. They are cold nature. And so we’ve come to 4 kinds of cold objects in Reiki history. You maybe ask why si good to copy such cold objects into the aura through the consecration? These cold objects could be activated by different ways and so to get the information directly not through third objects who are often unaware of Reiki issues. And this is important to take over experiences directly through cold objects. After a set of cold Reiki objects downloaded and copied from burrial place to the aura of Reiki masters we will dedicate time to warm Reiki objects wich are copied from living individuals. In this case, we are looking for someone who is engaged in meteorites since childhood, someone who constantly touching them, something makes with them physically and of course is better than a Japanese monk who dedicated Mikao Usui. We have found such individual. This is living person Laurence G. and he has dedicated his life to study of meteorites. And so we copied object of such person into the aura of esotericists. This is a moment of beginning a period of living objects that are not copied from the burial site, but from a living person. It is obvious that this person has to devote time to meteorites every day. So the history from Japan was repeated. This was a key moment and since then we have in aura Reiki object from living person and all consecrated persons could start to use it in own Reiki practice. Dead and cold objects are repository of knowledge about the life and personality Reiki people who had strong contacts with meteorites. Warm Reiki object is next stage of building an independent Reiki system beyond today’s Reiki community. We do not accept any warm object from any leading Reiki master living today. It is perhaps surprising, why we follow these steps but it has its own logic of building Reiki that is rigorously tested and verified step by step. The future will show whether that decision was correct. Let us hope that was special and even necessary. We also had the consecration to whole body cold Reiki object which is linked to human bones. And here we also want warm Reiki object from living person. So you have cold whole body object in whole body and now the object from living person dedicated to radioactive research was added. This is living person Yukiya A. who dedicated to the research of atomic energy. So here is the second living copy of Reiki object for Reiki practise. We also had the consecration to cold object which remained after death cosmonaut who where in the cosmos more then 3 months and over his burrial place is cold whole body object strongly linked to body organs. We need such object from living cosmonaut for esoteric practice. And here we have living cosmonaut Scott K. who were in the cosmos extraordinary long time. A so here is 3rd warm object from living person for consecrated esotericist. We also have cold magnetic object from dead European Mesmer. He worked with magnets, but also with meteorites and meteorites itself have their magnetism. To cold Reiki objects from burrial place of Mesmer has been added warm Reiki object taken over from living person, magnet man Miroslav M. who is able to hold iron objects but also completely non magnetic. So warm object from living person was added into our aura and we can start practise magnetic Reiki. At the same time we created special objects in this practice. We shreded classical magnet to the very fine pieces and then we mixed them to synthetic resin or any kind of glue. This object shouldn´t be smaller then classic match box. We will inform you about further variants of such artificial magnetic stone. For example inside of shreded magnet could be added the peace of neodymium magnet or hollow plastic beads and so on. Then here is unique object which we received at Reiki beginning. This is specific record of dead persons living in volcanically active areas and the best is if they practice extreme forms of mutilation of the body. We do not indulge this kind of shamanism. We were able to pull posthumous cold object from magmatic Earth’s core and its magmatic potentional. We have inserted such object into our aura. We have added warm Reiki object to this cold object and this is a copy from people that explore volcanoes. Or in this case the person and living strongman who is able to keep incredible weights on own body and he is Magma Man – Cabral. This is fifth warm object from living person which is full body object. Then here is specific but a bit different matter for Reiki. Persons hit by lightning, sparking or cold plasma form in the body temporary object on the basis of some damage and this allows them to connect the cell nucleus under the name mitochondrial nucleus with mitochondria Eve, mitochondria plant and mitochondrial power factories. Such individuals create warm full body object. But we didn´t find any object over their burrial place. Hungarian man Lajos W. deals with such kind of Reiki and he is living person with living object which is not preserved after the death of such individual. Thus, here is the exception that proves the rule. Esotericist in modern period is intensively concentrated to inside in own memories but mainly to organs and body systems themselves. And then step by step to own cells, organelles inside cells, chromosomes, genes, nucleic acids, proteins, amino acids and elements. He also concentrates on deeper level 10 raised to the power of minus 50 meters. Reiki in the human body reaches mitochondrial level and this is micro level of organics inside each cell and mitochondria powerhouse, mitochondria factory for the production of certain chemicals, mitochondria DNA as a second nucleus, mitochondria Eve in the navel and especially in bones. In women is mother mitochondria made of Eve mitochondria, mitochondrial DNA, mitochondria plant and mitochondria factory. Here is extended mind of esotericist by endless exercises in own neurons, esotericist creates the unique ability to take control in this area. Semantically important is the fact from evolutionary medicine that in the human body is 200 prehistoric structures of 4 billion human development. In the human body is amount of stem cells which are obscured, blocked and nonfunctional. But through the meditation and some kinds of healing such blocking could be removed. A person can then start enjoying the whole prehistory of our own development. It’s called history in us. And one part of Reiki is directed to this area. On one hand, we do research of Reiki traditions and similar systems throughout the body, but this is not enough for us. 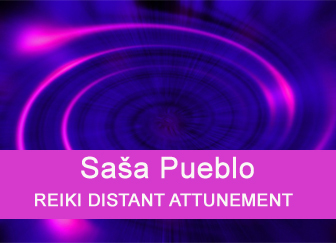 Sasa Pueblo intensely devoted Reiki treatment without the presence of healed person. Reiki treatments are carried out and tested remotely across planet Earth. In Reiki treatment we aim to examine the potential of different approaches and treatments remotely without the presence of the person being treated. We test different approaches for example the transfer of bio-energy from one object to another living object. We call this process conquer one person over another person. Thus, one person was partially withdrawn bioenergy and transferred to another person with lack of such energies. Under the term lacking we understand inability to produce and retain sufficient bio energy produced inside the mitochondria of cells. This is often sick or elderly people. We often evaluate and look for procedures to teleport bioenergy from living person for example from Canada to the person in Slovakia. These are transport systems how to take the energy from one person and how to deliver the energy to other person. One technique is throught the collective consciousness where the human mind blocks perception of differences between humans and other objects. Healer removes bioenergy and moves it to another person. Other technique is the early stages of the clinical death. This second technique is extremly demanding. Here is an effort specifically adapt energy intake and move them by teleporting technique. On the one hand is redundant energy and on the other hand is energy deficient. Then there is the effort to use movement in terms of worm holes which are in the cosmos everywhere. Thus linking two ends of worm holes for efficient bioenergy transport. Then there is the tendency to use the principle of the drive which is not in that object, but around the object. Einstein’s theory of relativity on the movement speed of light and how to achieve and exceed so that you don´t move the actual quantum yield of bioenergy but with the surrounding of this quantum. Then there is the potential transfer of the quantum bioenergy through the nearby presence of two quantums of bioenergy where both quantums are considered as bioenergy but as well as two objects at the same time and among them originate a black mass. This generates a very interesting bioenergy transfer from one object to another object. So here is the problem of transport bio elecrtrons, bio photons or other bio particles. We understand under bio particles special electrons, photons and particles which are different from traditional electrons, photons and particles that are produced outside the human body. On the other hand bio energy moved from one object to another object should also contains information that is stored in a certain combination of organic particles. Example will tell you more. We need to treat diseased liver of the patient. It is a process of excessive division of the liver to still smaller parts. So we try to connect to persons who have energies with encoded information that could cure liver cells. Liver cells have two cores. One core is used for division and second mitochondrial core controls the biochemistry and bio energy within each cell. Of course, causes of liver diseases can be a lot and is necessary to reveal them by oracular techniques. When you connect sick person with bioenergies of the person with Reiki then after whole year the effectiveness of interventions drops about half. If you would heal throughout persons who have Philippine medicinal potentials then Reiki healing and intervention works well, about 50% after a year. If someone is healed by energies of ordinary people so after a few months without treatment therapeutic intervention is completely lost. But the treatment based on the connection to persons with natural biomagnetism, interventions do not fall even after a year and often their values increase by themselves. So we go more and more toward the magmatic and magnetic interventions. Healings which go to the area of 200 prehistoric structures almost in each part of the human body are unique. Intervention into that area goes through persons who have active and fully functional any prehistoric structure. These prehistoric structures are in the body of every person. They can be partially active, but often they are somehow blocked. Furthermore, Reiki treatment in the process of aging is also about how to unblock everything what the old age begins to block. Old age and the aging process in the body try to dispose and block systems which can not work properly. So often only one – two Reiki treatments are enough and massive activation of certain functions to full activity, such as embryonic neurons that organism in older age blocks. Then here is the phenomen of activation different alternate systems which should protect the organism in case of damage. This is for example activation of reserve spleen, redesign of sweat glands on renal activity. In the second hormonal gland functioning thyroid hormone replacement and next to them prehistoric hormonal glands. Then it may be a separate neurons that normally can not be divided but if in the brain lacks neurons, the body may under Reiki pressure starts dividing neurons in the brain. In the human body is unique system and this is fat and fat cells. They are able produce from themselves many stem cells and deliver them to the body. In the very fat body structure can be mobilized creation of prehistoric fat cells. They literally can produce an infinite amount of stem cells for body reparation. Fat cells in elderly can group themselves together and create something as replacement organs producing necessary chemicals. Here is secret of long living individuals. If you are 50 years old, you should produce about 50% of chemicals necessary for your body in the fat. Entrance into fat cells is around navel area on the right and left side. Then here is unique area and this is navel and umbilical cord behind the navel. Reiki is able to open blocked nervous and neuronal system in whole body and in this area substitutes activates of dysfunctional mitochondrial Eve which are also in bones. Mitochondria – this is whole chemistry and energy of living cells. Then here is Philippine Reiki and this directs to bones of the human body and through mitochondria produces something like healing plasma. This Reiki is also able to activate prehistoric bone structures. Then here is Reiki which directs to other areas and these are small thymus glands on lymphatic system. Childs have thymus in chest. Here thymus is minimised and 90% of thymus disappears. In adults thymus has remained at about 50 areas in the body and Reiki here can treat and heal whole body. Reiki can also insert ideas about treatment and rehabilitation into the memory in the navel, into bones where you can practice techniques associated with seance evoking images of the person connected with health visions. Dreams can be fulfilled with visions of health. Health visions can be also inserted into the area of subconsciousness which is in chakra places over the body. Here is the area for magical Reiki which is unfortunately not used and in this direction missing right individuals. The person survived of lightning and gets magical skills. Person who is able to synchronises activities of all mitochondrias in the body is strongly biomagnetic. The person who crashed the classical magnet into powder and then quenched this powder to a resin can open magnetic capacities throughout the body. Interesting is Reiki directed to the area between cells and other parts of the cell as a protein and similar. But we do not have yet enough information about this effect. Specific Reiki healing is based on connection of mitochondria Eve in the navel area, in the area of bones, in each body cell as second cell core and mitochondria factory for the production of nutrients and mitochondria plant in each cell. Actually this is treatment and take control within cells. The treatment goes through people who have been affected by shock, electrical discharges or cold plasma. This is specific Reiki raised and maintained in Hungary. A specific object is called Reiki excavator for mining and mining energy particles. This is not a permanent object. This object is created for specific treatments in specific day and then is individually adjusted. After the daily Reiki work is destroyed and next day is formed more perfect version of Reiki excavator. It may be incorporated of Reiki character chi-ku-rei. This is the spiral shape of the snail which is built of rotating elements. Newer versions of the excavator have come under the influence of meteorites development and pyramids. And others will come up by endless practice. 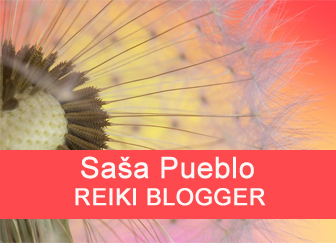 Sasa Pueblo here suggested some techniques and practices in Reiki treatment. These aren´t any fantasy but seriously gained information from distance healing. 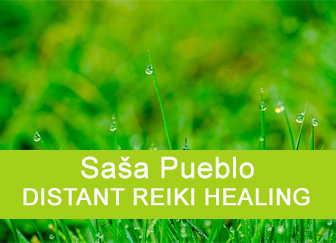 Sasa Pueblo heals monthly often 100 persons. We will improve Reiki techniques suitable for the treatment in this line. We believe, that Reiki world will appreciate such effort and recognizes his rights as Reiki master. 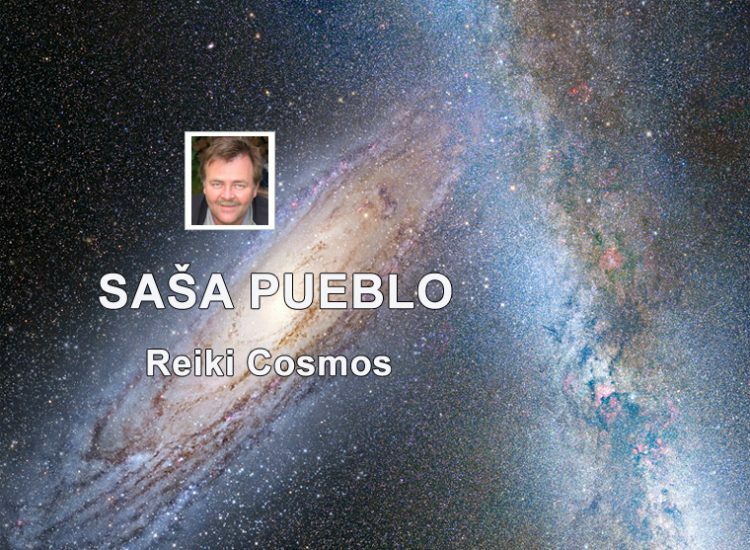 Sasa Pueblo builds in himself and outside of himself spiritual being that integrates all created beings and objects in the field of spirituality and religion. It is built in collaboration with autistic individuals and indigo individuals. This is esoteric artificial intelligence that directs the whole Reiki process. Sasa Pueblo doesn´t divulge more about this artificial intelligence. Start with the development and after 20 years it will be fully available.